MADRID (Sputnik) - Former judge Baltasar Garzon, who coordinates the defence team of WikiLeaks founder Julian Assange, said on Thursday that he did not rule out that his client could be extradited to the United States and be tortured there. "We have not seen these promises. [WikiLeaks informant] Chelsea Manning has been subject to torture. We have serious grounds [to be concerned] that this can happen. There are no guarantees, anyway. There have been precedents when the United Kingdom extradited people who did not have this kind of guarantees. Let's wait and see what the UK justice says about extradition", Garzon said. He stressed that Assange risked being subjected to politically motivated persecution by the United States. Garzon blamed the Ecuadorian government for putting Assange at "serious risk", and stressed that his client had met all the conditions of Ecuadorian authorities despite their opposite claims. Earlier on Thursday, the UK authorities arrested the founder of the whistleblowing website at the Ecuadorian Embassy in London after Ecuador terminated Assange's political asylum over his alleged violations of international conventions. Ecuadorian President Lenin Moreno claimed that the UK authorities had provided guarantees that Assange, whom Washington wants to put in jail for releasing classified documents, would not be extradited to a country where he could face torture. The US Department of Justice said on Thursday that it was charging Assange with conspiracy related to a 2010 release of classified documents provided by Manning, former US soldier who had served seven years in prison for providing information to WikiLeaks. 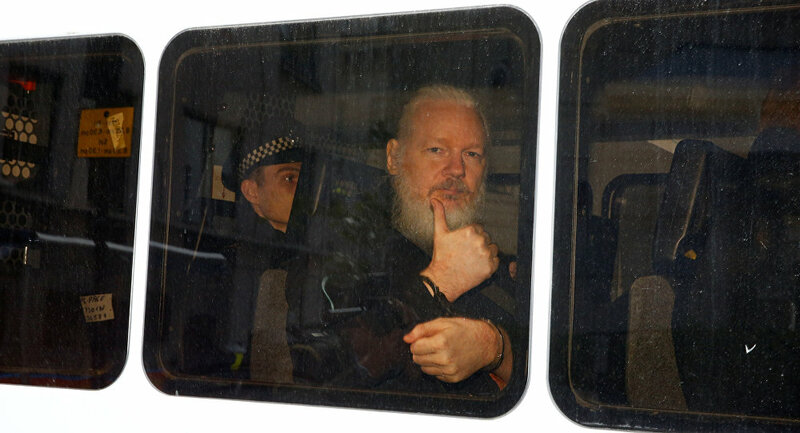 According to the UK Westminster Magistrates' Court, where Assange appeared on Thursday, the United States has until 12 June to submit all the papers necessary for extradition. Assange gained fame after WikiLeaks published a huge trove of leaked files, including those referring to US military operations in Afghanistan and Iraq and conditions in US-run Guantanamo detention camp.